Firstline Locksmith provides mobile locksmith services along the east coast from Connecticut to Virginia. We also have a conveniently located store, warehouse, and training facility in Jamesburg, New Jersey. We invite you to visit our store and let us show you a variety of security options. At our store, we provide a wide range of security services, from servicing locks and safes to key copying and even gaining entry into locked antiques. Visit our store today and let us keep you safe the Firstline Locksmith way. Our store is located at: 893 Cranbury South River Road, Suite #203, Jamesburg, NJ 08831. The Jamesburg location is also home to our warehouse, which is located at the back of the store. This ensures that our store is always fully stocked with a variety of security products and that our locksmiths have what they need in their service trucks. Knowledgeable and skilled locksmiths are vital to providing the highest quality services. This training facility ensures that our locksmiths are up to date on the latest technology and are always learning more and improving their skills. "It is my pleasure to recommend Mike DiCicco of Firstline Locksmith, the services offered by Firstline are unbelievable. For over a year I have come to depend of Mike for various projects and issues that tend to arise at the most inconvenient time. One call to Mike and you can consider the problem solved in a quicker than expected time-frame. 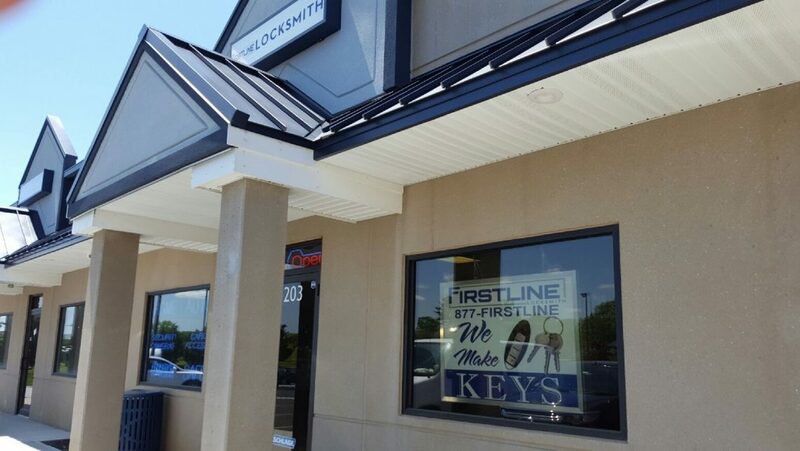 If you are in need of a commercial locksmith nationally, Mike is your guy and I would highly recommend that you call Firstline for all your needs." -Jeremiah Stark, Operations Management, Go Wireless, Inc.